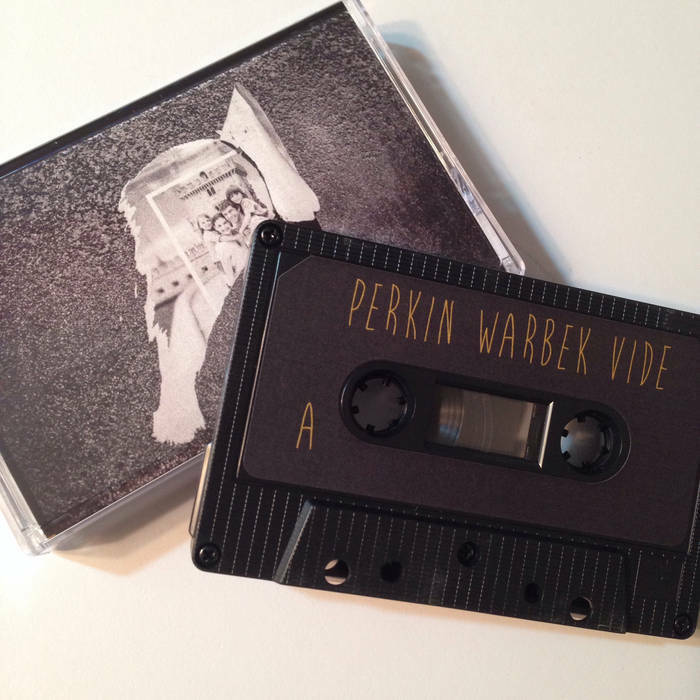 The Van Meyers Perkin Warbek's two-track album on the incredible 'I Had An Acccident' cassette-only label is a exploration of sonic vibery and sound sculpture. 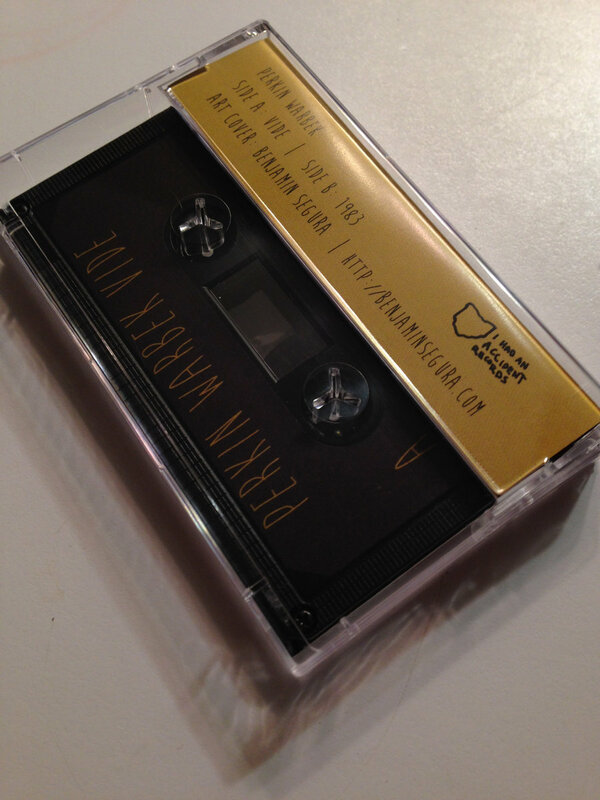 Pop that tape in and let me drive to nowhere. . .
Kj lost in a haunted forest, with ghouls at your feet. chilling and haunting. Favorite track: 1983. 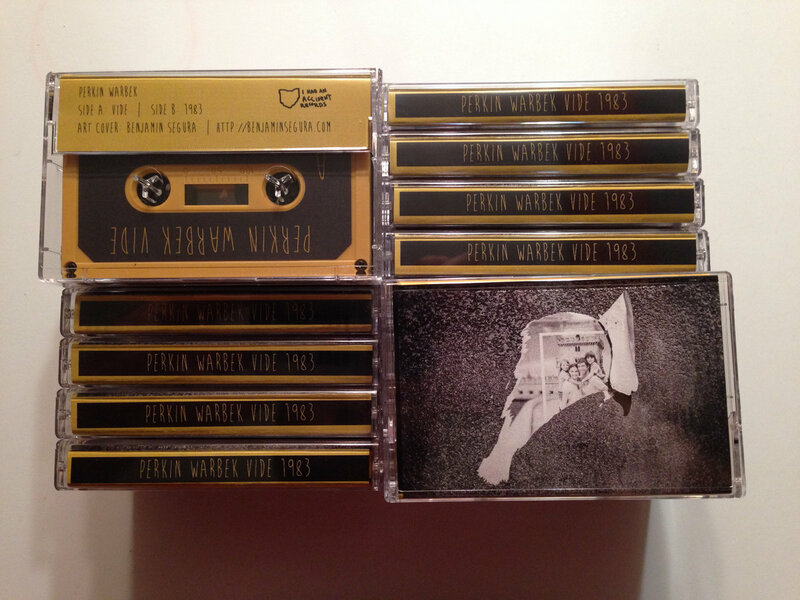 Limited to 25 marigold and 15 black cassettes. Includes unlimited streaming of Vide / 1983 via the free Bandcamp app, plus high-quality download in MP3, FLAC and more. 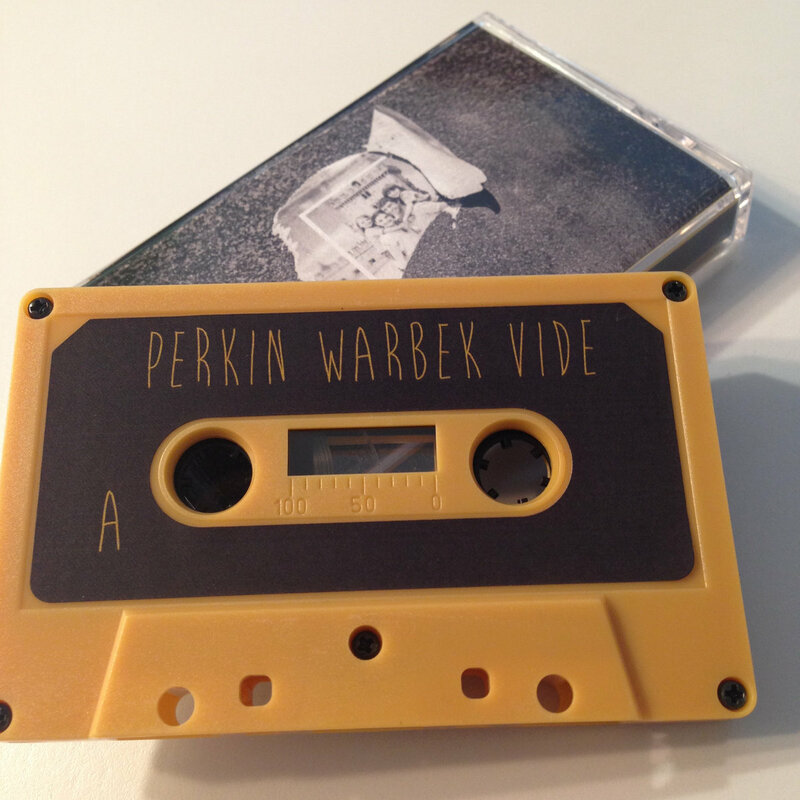 Sample based sound collage artist Perkin Warbek produces a 25 minute tape titled VIDE / 1983. The collection combines echoing noise with harsh tones aside lush mixes and cocktail clinks. 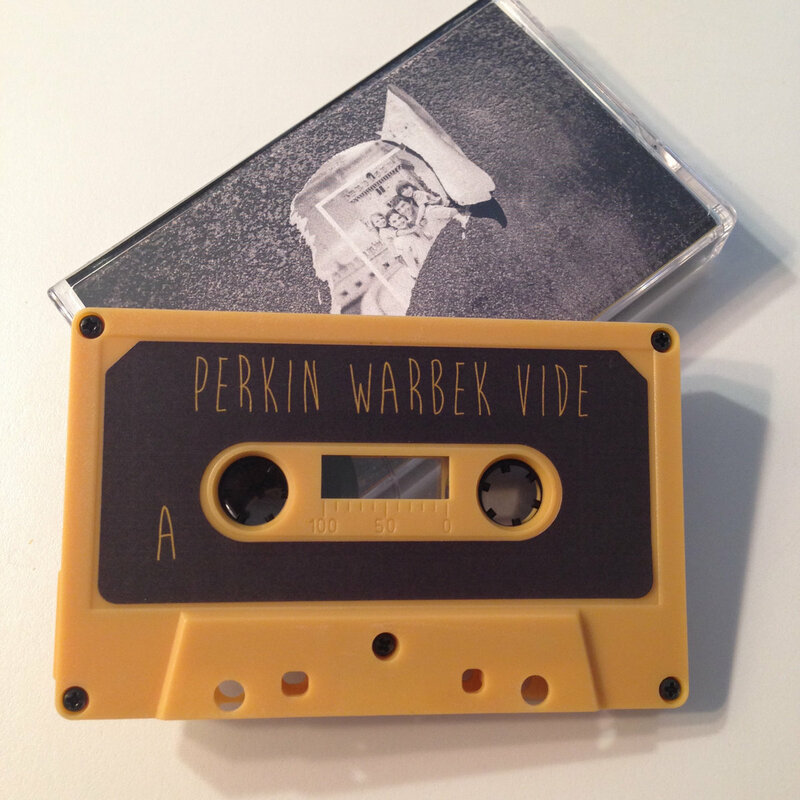 The mixtape mastermind isn't afraid of letting his samples drive the release, with little consideration on length Warbek is able to mold together a passionate display of tweaked fuckery and composition. 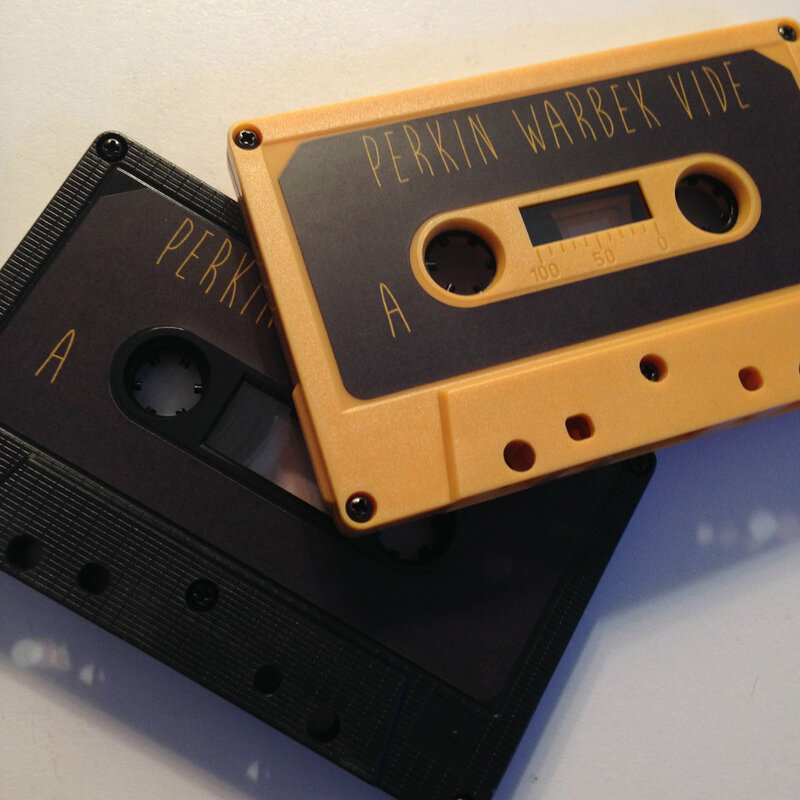 The limited edition tape features 25 marigold and 15 black cassettes. The fortune of owning this album shall be realized in the sentiment of holding a mixtape from a former lover many years later when you realize those moments are gone as you remember the euphoric sensationalism of your past.